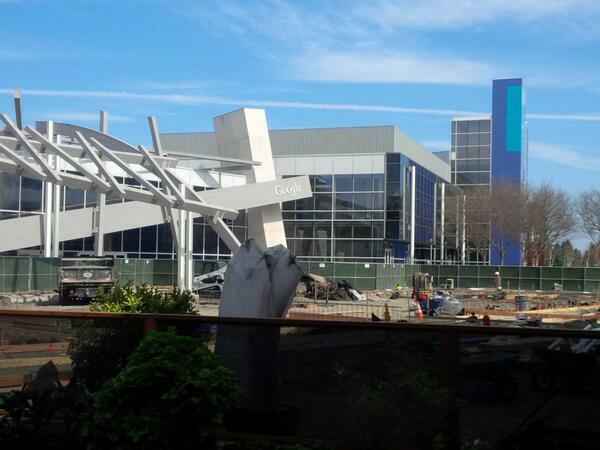 Pictured above: Mayor Reed snapped this picture of Google's campus and shared it with his Twitter followers. Last week, Mayor Kasim Reed and Invest Atlanta led a delegation of Atlanta tech leaders and entrepreneurs to Silicon Valley. During the three-day trip through San Francisco and Palo Alto, Reed and Invest Atlanta’s technology leaders met with 12 venture capital firms and social media platforms in hopes of increasing Atlanta’s place as a hub of technological innovation and entrepreneurship. While at the Facebook headquarters, Reed answered questions during a live Facebook chat. While most inquiries regarded Georgia policy issues, Reed was asked a few technology questions. For instance, one follower asked what the city of Atlanta was doing to ensure that Google builds a fiber network here. In response, Reed explained that Atlanta was working to understand what other cities have done to be selected as cities for Google fiber. In addition, when asked what it would take for Facebook to put one of its campuses here, Reed said that the city hopes that more Facebook employees will come here as it continues to develop a reputation as a center of technology innovation. Despite the facts that Atlanta is currently ranked 12th in the nation for tech startups and only five percent of all venture capital investment goes to the Southeast, Reed hopes that the Silicon Valley visit will help change those numbers and spur investment in promising startups in the city.